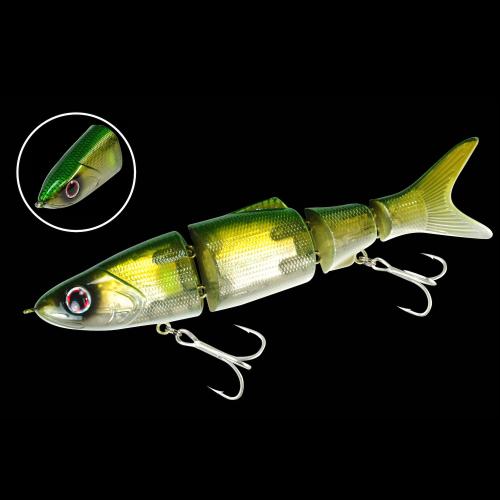 Founded off the Japanese trend of “snake based action”, the Biovex Joint Bait 142 SF is the big brother of the Joint Bait 110 SF. 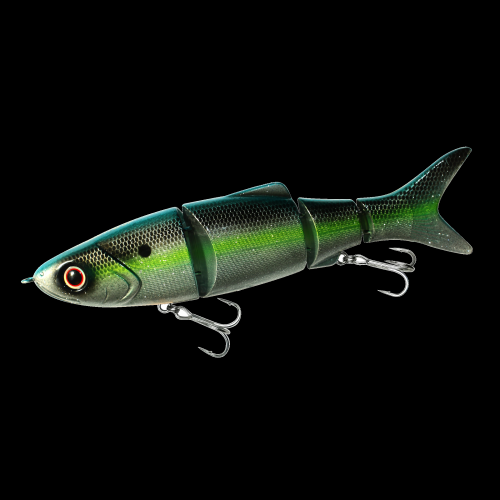 Measuring 142 mm (5.5 inches) and weighing 1 ounce, the Joint Bait 142 SF was built for anglers looking for the same “S” style topwater action but engineered to be power fished on heavier tackle. 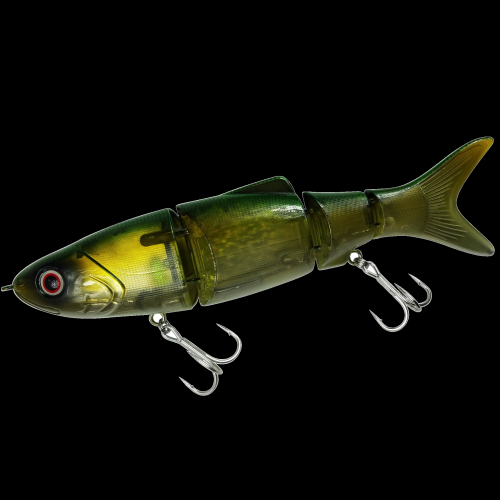 Matched together with fluorocarbon line, the Joint Bait 142 SF provides a sub- surface waking action just below the water’s surface, once paused the bait sits motionless in the water column enticing both short strikers and/or followers into striking viciously. 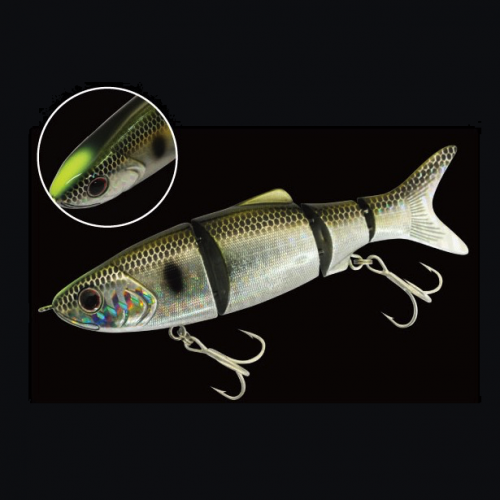 Combined with braid or monofilament line and the Joint Bait 142 SF snakes across the surface of the water simulating a fleeing baitfish and providing anglers with a topwater action made to trigger big bites from big bass. The Biovex Joint Bait 110 SF is a multi- jointed swimbait offering anglers a unique, finesse-style topwater action never before seen from any bait of it’s kind. 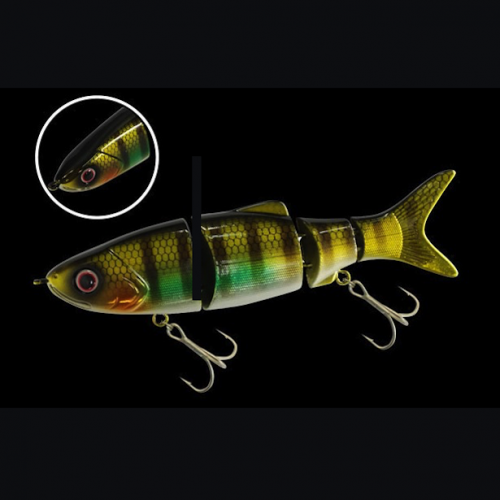 Japanese tuned to run across the surface with a snake like “S” presentation when retrieved and it’s internal weight distribution allows the bait to be worked effectively at any retrieving speed. 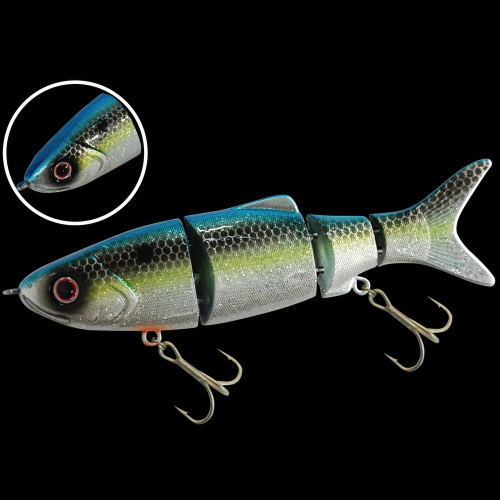 Engineered to match the hatch, it’s 110 size (4.5 inches) is the perfect baitfish imitation and is made to fish on slick water with a finesse setup for precision casting ability. Matched up with braid and a fluorocarbon leader, the Joint Bait 110 SF will provide a sub-surface waking action just below the water’s surface, once paused the bait sits motionless in the water column turning the most weary of bass into relentless biters. 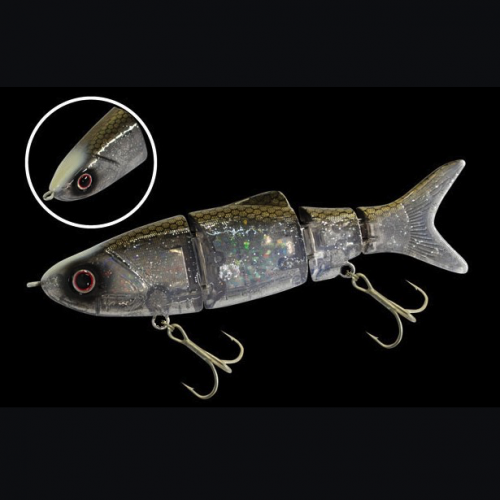 Combined with braid or monofilament line and the Joint Bait 110 SF snakes across the surface of the water simulating a fleeing baitfish and providing anglers with a topwater action made to trigger big bites. 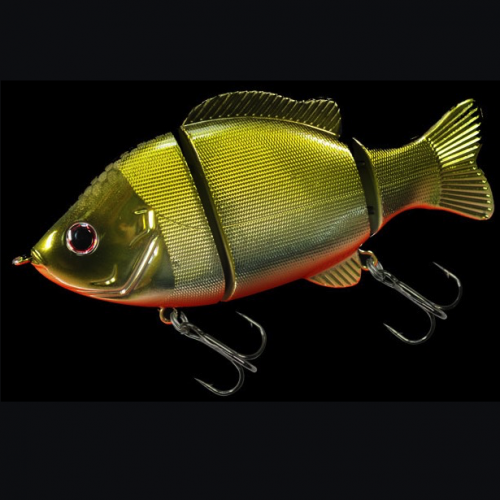 Big Bass feed on big bluegills and nothing entices a ferocious bite better than the Biovex Joint Bait 90. 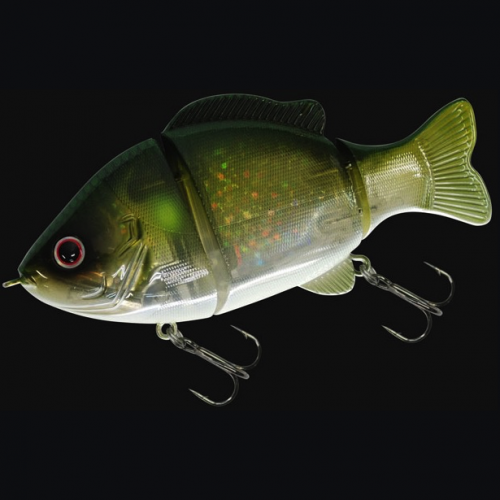 The double- segmented body and precision tuned balance, gives the bait the ability to be burned shallow, slow-rolled deep or jigged seductively in the same place, perfect for targeting bass at any depth. Packed into a double segmented 3.5 inch body, this swimbait offers the most innovative and unique, freestyle swimming action unlike any bait of it’s kind. 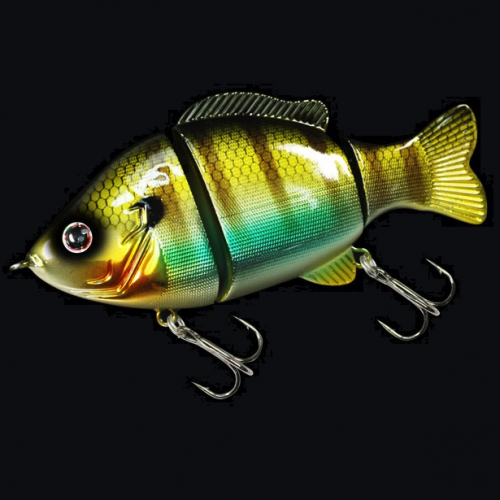 Even more, because of it’s incredible buoyancy, no bait is more perfect for producing rod crushing strikes from spawning bass better than the Biovex Joint Gill 90.